We are psyched to premiere the new Kansas Bible Company song, “Backyards.” The track is a must-listen for fans of Iron & Wine, Elliott Smith, and Nuetral Milk Hotel. Read more about the band after the jump, and let us know what you think in the comments. 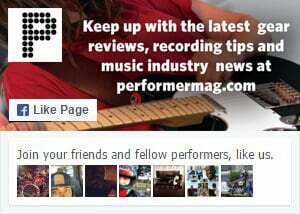 And be sure to follow Performer on Facebook and Twitter for more exclusive music every week. Kansas Bible Company will make you a believer. A believer in the power of psychedelic rock. A believer in the soulful punch of a three-piece horn section. A believer in music—in this case, music made by seven bandmates and three songwriters, all of whom attended the same Indiana college before moving their operations to Nashville. With their third album, Paper Moon, the band tightens its approach, adding pop hooks and sharply focused songwriting to a sound that was once wildly experimental. Kansas Bible Company haven’t lost the unpredictable edge that pushed albums like Hotel Chicamauga into Frank Zappa territory, but Paper Moon shines a light on the melodic core that occupies the center of their music. Recorded and produced by Skylar Wilson (Justin Townes Earle, Andrew Combs) during the band’s fourth year in Nashville, Paper Moon finds Kansas Bible Company dealing with a rapidly growing hometown and a revised band lineup. It’s an album about change — about looking back on the past; taking stock of the present and making decisions that will affect your future. The group’s three songwriters all approach those themes from different angles, resulting in an album that remains focused while still covering a wide range of ground.